Many of us are looking for ways to be more environmentally conscious and ‘go green’. Maybe you aren’t sold on an electric car just yet and are pretty sure you don’t want a windmill in your backyard. Still, the switch to a green cleaning service can be an easy way to reduce pollution and protect the health of you, your employees, your customers and the community. Because green cleaning has become such a buzzword, even an empty marketing tool, it can be hard to separate the companies that are deeply committed to green cleaning from the companies that will do or say anything to close the deal. How do you know if your cleaning service is really doing what it takes to be as environmentally friendly as possible? And if not, how do you find a reputable janitorial service dedicated to environmentally sound, green cleaning? Green cleaning is not just about non-toxic cleaning products. True green cleaning requires a complete understanding of what it takes to accomplish two goals; clean with products and tools that are environmentally friendly and clean in a way that insures facilities are truly clean. Using environmentally safe chemicals is just the first step in insuring you are getting dependable, green cleaning services. Sadly, buying some ‘green’ products is as far as many janitorial companies go. They lack the awareness or the commitment to the cleaning systems and procedures that are also pivotal to making a building environmentally friendly. Some of the issues are as simple as how long a product must sit on a surface like a bathroom counter to properly disinfect. Sounds simple enough but if your green cleaning services company isn’t following manufacturer recommendations, they could leave you and your employees open to the health issues that result from improper cleaning. Other problems are more complex such as what the best way to strip a hard floor? In this case, proper environmental techniques are just as important as utilizing safe chemicals. A solid green cleaning company will also typically have equipment that allows them to thoroughly clean with the use of little or no chemicals. All of these solutions require thought, training and commitment that go way beyond just buying environmentally safe chemicals. How Do You Find a Deeply Committed Green Cleaning Company? If you are not certain how to scrutinize a cleaning services company to insure the quality and standards of their green cleaning program, there is a simple solution. With CIMS GB certification, it's never been easier to go green. Employing a CIMS-GB janitorial company is the best way to maximize your building's green potential. If you select a cleaning company with Cleaning Industry Management Standard (CIMS) certification from ISSA, the World Cleaning Industry Association, you get a janitorial company that has already proven their commitment to their industry. The ISSA CIMS has rigorous requirements for management and quality of service guarantee so that you know you are hiring from the most excellent janitorial companies out there. Likewise, the ISSA also offers an additional certification: ISSA CIMS GB (Green Building). A CIMS GB certification confirms that your janitorial service not only meets the highest standard for management and quality of service, but also the highest standard for environmental responsibility. ISSA CIMS GB certification is already in place to confirm that a cleaning service uses both environmentally safe chemicals as well as proven, documented environmental procedures. Utilizing an ISSA CIMS GB cleaning services can have benefits far beyond simply reducing your environmental impact. CIMS GB companies have also been proven to help you raise your Leadership in Energy and Environmental Design for Existing Buildings: Operations and Maintenance rating (LEED-EBOM) with the U.S. Green Building Council. Even if your facilities are already LEED certified, there is always room for improvement. A truly green cleaning service can help your building obtain more LEED-EBOM points and elevate your rating to silver, gold, or even platinum. The CIMS GB certification standard is based on the LEED rating system, and CIMS-GB certified companies are the best equipped to implement procedures that help to raise your building's LEED rating. And with a higher LEED rating comes a variety of incentives, from tax breaks to fee reductions and waivers to density bonuses and more. 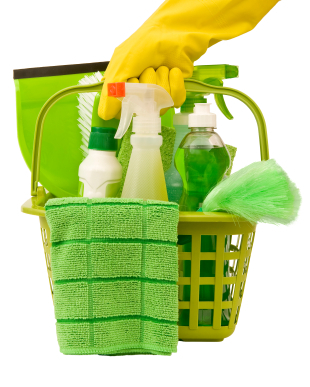 Green cleaning services are ubiquitous, making claims about safe chemicals and environmentally conscious practices. Still, as with any other contractor claim, it is vital to vet those statements. Bringing on an ISSA CIMS GB certified cleaning service gives you peace of mind knowing that the knowledge, efficiency, and expertise necessary are there.